DETROIT (Reuters) - Just like raw tuna is a favorite of foodies everywhere, Robert Nathan Allen foresees a day when crickets will make their way onto consumers' plates. A growing need for more food sources as well as a desire to treat animals more humanely have proponents predicting entomophagy, or eating insects, will eventually spread more heavily to western and developed countries. They envision pancakes made with cricket flour or falafel chocked full of mealworm goodness will be just as desirable as sushi. "Sushi took 30, 40 years to really become a normal thing, but kale took like five years and kale's not even very tasty," said Allen, head of Austin, Texas-based Little Herds, a nonprofit founded to educate the public on the nutritional and environmental benefits of edible insects. Allen and about 150 others are gathering at Wayne State University in Detroit through Saturday to talk about edible bugs and how to grow the nascent industry. The conference is being billed as the first of its kind in the United States. They want to overcome what one speaker called the "yuck factor," a feeling shared by many in the United States and other developed countries. From ants and beetle larvae eaten by tribes in Africa to crispy-fried locusts enjoyed in Thailand, almost 2,000 insect species are dined on by about two billion people globally today, according to a 2013 United Nations report. With the world's population growth indicating food production will need to almost double by 2050, people need to check their revulsion and give bugs a second look, the report said. Since food scientist Lee Cadesky envisions a huge food sector over time, he and his brother founded C-fu Foods in Toronto, an ingredient company that makes meat, dairy and egg alternatives from insects. Under the brand name One Hop Kitchen, they will launch this week the sale of two kinds of insect Bolognese pasta sauce made with mealworms and crickets as the stand in for the traditional ground beef ingredient. Cadesky said it fooled most consumers in taste tests at food trade shows. Edible bugs are already gaining traction with niche markets like those wanting a gluten free diet or wanting to better protect the environment because farming insects uses less land, water and feed, and results in lower greenhouse gas and ammonia emissions, industry officials said. 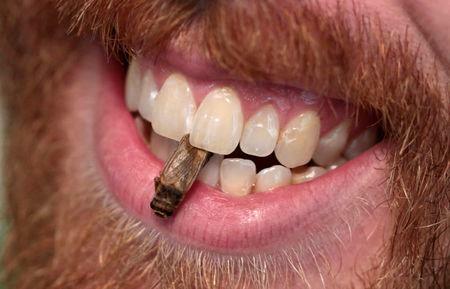 Bugs also offer higher protein than other meat alternatives like soy or even some meats, they said. 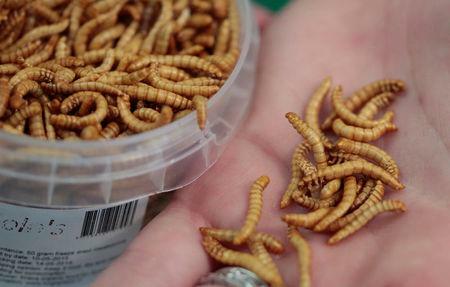 The U.S. Food and Drug Administration demands edible bug products are safe for human consumption, including farmed rather than harvested from the wild due to contamination risks, Allen said. Products with bugs also must clearly be labeled as such and carry allergy warnings given many bugs share the same genetic characteristics as shellfish. However, the industry remains in its infancy. Five years ago, few products or bug farms existed, and even now the numbers are small. The money invested only totals in the millions of dollars due to further regulatory uncertainty, Allen said. To help the cause, attendees will gather Saturday to form an industry trade group to better promote the industry's interests and urge more clear federal regulations. "We know there's a lot of hurdles, but our message resonates," Allen told attendees at the conference on Thursday. "The public wants something," he added. "They just don't know it's us yet." 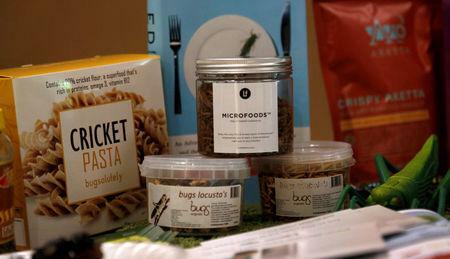 Conference organizer Julie Lesnik, an assistant professor of anthropology, said entomophagy was not a fad given the practice's long history, but the industry needs to sell itself better. To that end, one attendee's T-shirt carried this message: "Crickets are the new kale."